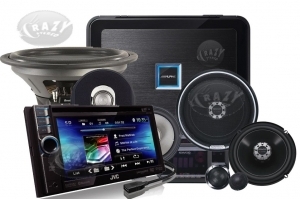 Buying from Crazy Stereo an authorized Car Audio dealer means you get a 100% manufacturer backed warranty, live and in-person car audio diagnostics and technical support and life-time warranty on installation. 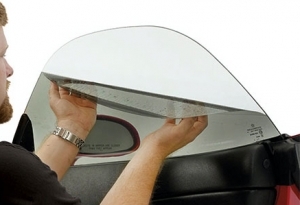 90 Days Same As Cash. 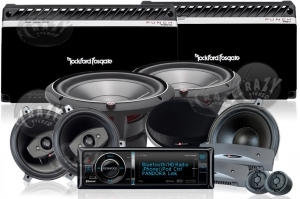 No Credit Needed. 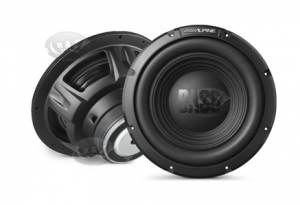 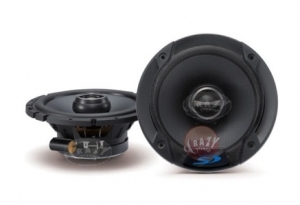 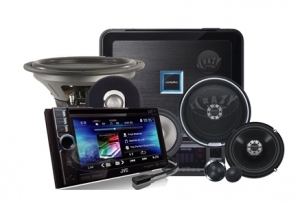 Check out these Crazy Deals on Car Audio! 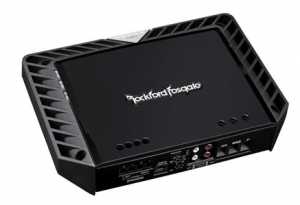 Top Mix Car Audio Video System with the very best components for premium sound. 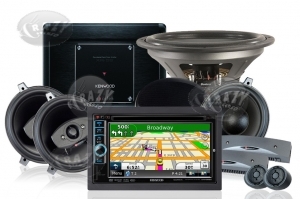 Kenwood-Boston-Fosgate Elite Sound System for those that want crisp, premium sound from their car audio system. 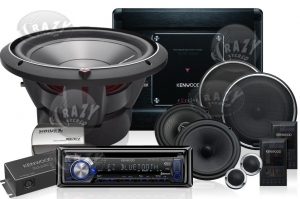 Kenwood/Fosgate Car Audio Package that boasts awesome sound producing components. 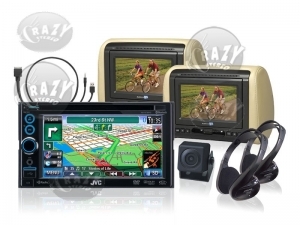 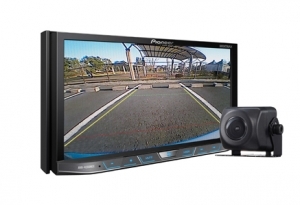 Rear-Seat Car Video System and Dual Zone 6-1″ with Indash DVD- Navigation with Bluetooth and Backup Camera. 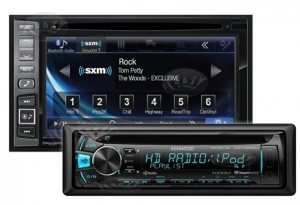 Elite Car Stereo Package 7 complete with Kenwood Car Navigation, premium subwoofer, amplifier and top-notch speakers. 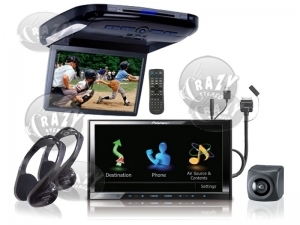 Rear-Seat Car Video System and Detachable 6-2″ In-dash DVD- Navigation with Bluetooth and Backup Camera. 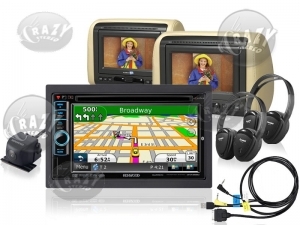 Rear-Seat Car Video System and Dual Zone 7″ Indash DVD Navigation with Bluetooth and Premium Backup Camera. 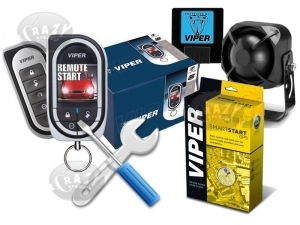 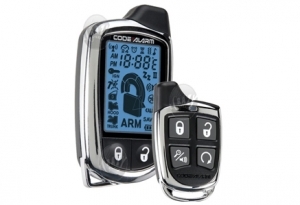 GPS Tracking SmartStart Remote Start Security Keyless Entry System w/ Color LCD Paging System. 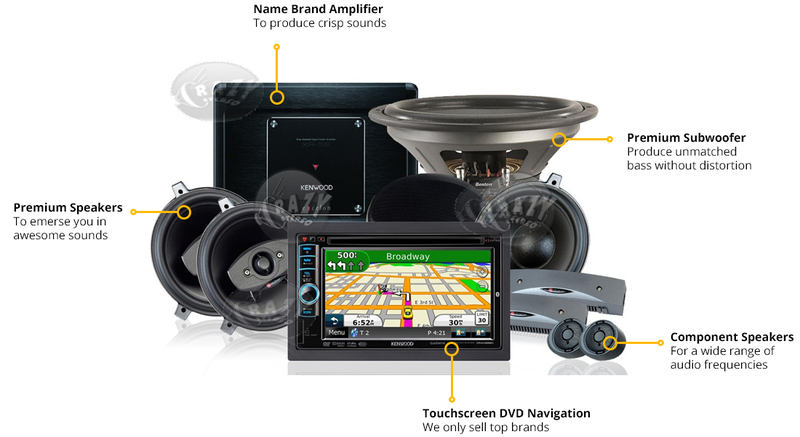 Orange County’s premiere car audio authorized dealer based in Fountain Valley, California for quality car stereo, car navigation, car security and marine audio products installed by our highly trained car electronics technicians. 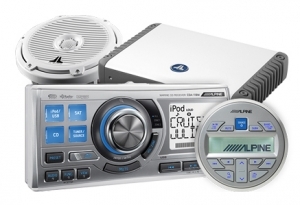 We offer car audio solutions for any budget with easy car audio financing at little or no money down and without any credit checks. 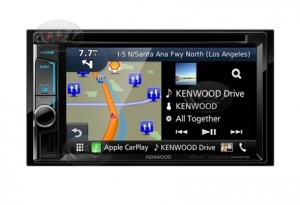 Serving Orange County since 2003.